Camella Da Eun Kim was born in South Korea and raised in Canada since 1999. After completing a BA in Visual Arts and Media Studies, she obtained her MFA in media art at UCLA. 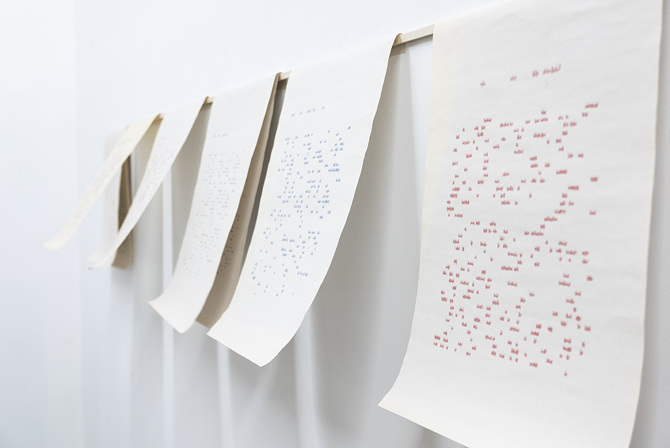 Kim explores a wide range of media and often combines traditional and digital fabrication tools and materials to manifest her interest in language, communication and to question what it means to be connected in the digital age. For Kim, understanding how we relate to our environments and how we ought to relate to our environments and other people, motivates her to continue her art practice. Often, humor plays a key role to arouse the audiences' imagination and provoke them to think critically and creatively about sensitive or controversial issues. She is a recipient of Fellowships from University of California Institute for Research in the Arts (UCIRA) and has exhibited throughout the United States, Canada and overseas. Kim currently lives and works in Los Angeles.